List any previous RS names: dont have any. Been playing runescape since 2004-05. 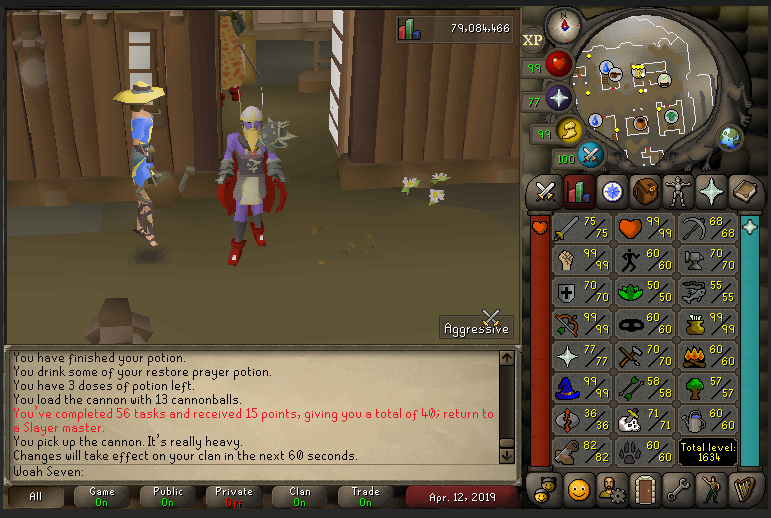 All ive ever done on the game is pk, i started playing rs again in 2017 (osrs) i started as a pure then went for max med build. Last clan i was in was a pure clan called intolerance, i got out because i got 70 def 77 pray. I am 25 years old and am in the US Army. I enjoy playin osrs on free time, pking mostly but want to learn to raid. What makes you want to join us? I need a good pking clan and sounds like yall are pretty legit. Also hoping to get some learner raids going but mostly i look forward to the pk trips. Come clean about anything that may deter us from accepting you: Nothing to hide. Just looking to meet some new pking friends. what happened to woah 1-6? Important: as our clan chat is public, please do not talk about PvP events in WG_CC. Use Discord.